Redshirt junior Derek West (46) struck out 12 Wake Forest batters in 6.0 frames. While many of Pitt’s teams didn’t earn their desired end result, the weekend still provided standout moments across Panther athletics, including a record-setting performance at Charles L. Cost field and the final regular-season match played by Pitt’s tennis team. Elsewhere, the track and field team saw several of its athletes reach the podium while softball suffered another sweep at Georgia Tech. 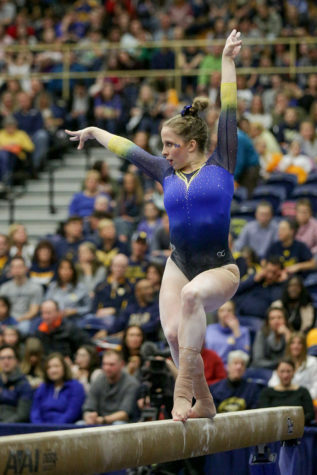 Pitt’s track team split up to cover some ground over the weekend, with some members heading down to Knoxville for the Tennessee Invitational from Thursday to Saturday while others went to Bucknell University for the Bison Outdoor Classic, which ran from Saturday to Sunday. The Panthers managed to land several athletes on the podium at each location. First-years Crockett Schooler and Sydni Townsend led the Knoxville faction on Friday, with the former taking third in the men’s 400-meter hurdles in 53.11 seconds and the latter taking second in the women’s 400-meter hurdles with a time of 58.89 — a new personal record and the fourth-fastest time in program history. At Bucknell, sophomore Daveon Finley led the Panthers with a gold-medal finish in the 110-meter hurdles, finishing in 14.74 seconds. Sophomore Greg Lauray also continued his standout season, claiming silver in the high jump with a 2.04-meter leap. Other contributors included senior Makenzie Zeh, who finished third in the women’s mile with a 4:59.90, and fifth-year Nick Sloan, who set a season best and finished eighth in the men’s 1,500-meter run with a 3:46.13. Next up, Pitt’s entire team will come together for the Virginia Challenge in Charlottesville, Virginia, running from Friday to Saturday. The Panthers got swept on the road this weekend by Georgia Tech in a series of contests that didn’t even see any seventh-inning action from the Yellow Jackets. Friday’s affair stayed scoreless until the fourth inning, when sophomore Hunter Levesque nailed a leadoff hit to put Pitt on the board. Georgia answered in the fifth with five runs of its own — four being due to an infield error — and the Panthers couldn’t recover, losing 5-2. Saturday saw a more competitive side of the Panthers early, earning one run each in four innings. First-year pitcher Abby Edwards earned four strikeouts in the first four innings before being replaced with senior Taylor Rahach, who notched one of her own. 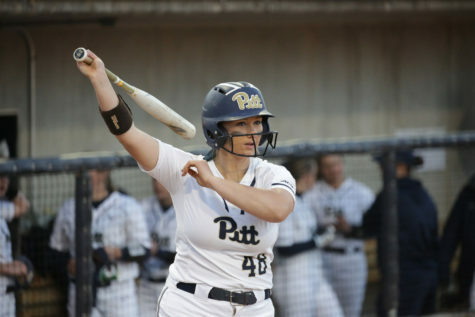 Even with Pitt’s consistent scoring, the Yellow Jackets overpowered the Panthers, gaining five points combined from the fifth and sixth innings, leading to a Pitt loss in the bottom of the sixth, 6-4. Ready for the comeback later that day, Pitt put up seven runs within the first two innings in its second game, promising for a big Panther win. But the Panthers went scoreless the rest of the game, while the Yellow Jackets earned six, five and five points in the fourth, fifth and sixth innings, respectively. Georgia Tech’s lead earned a mercy rule victory, 19-8, dropping the Panthers to 7-36 on the season. Pitt returns home to Vartabedian Field Tuesday at 5 p.m. to try to break its four-game losing streak, facing 18-20 Kent State. 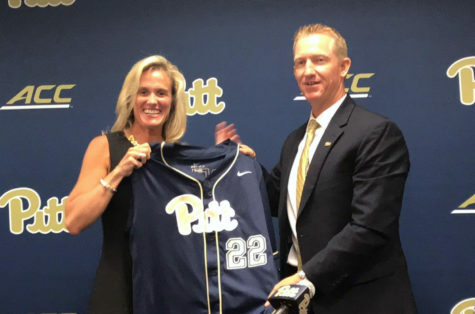 Pitt baseball fared slightly better than softball but couldn’t seal the deal against Wake Forest in its series this weekend, falling two games to one at home, slipping to 10-24 on the season. 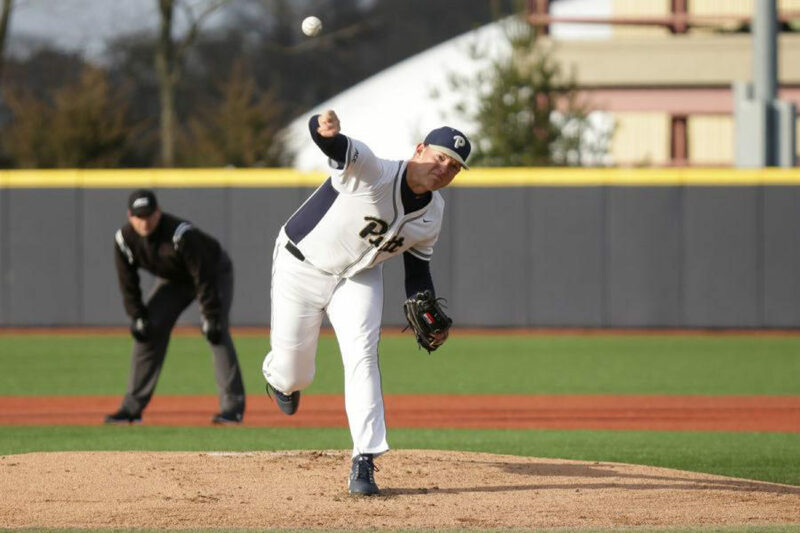 Redshirt junior pitcher Derek West was Friday night’s star, earning 12 strikeouts in six innings, the highest of all Pitt pitchers this season and a tie for the record from any Pitt pitcher at Charles L. Cost Field. The Panthers’ offense got off to a hot start, making it a seven-point game by the end of the fifth, including two RBIs each from sophomore Ron Washington Jr., senior Connor Perry and junior Nico Popa. 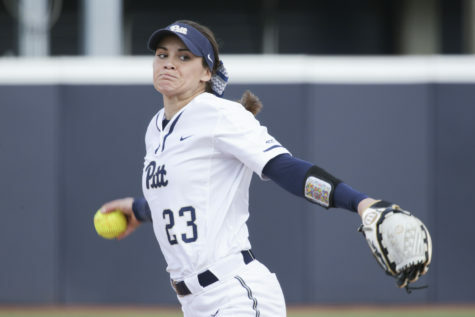 The Demon Deacons tried to make the comeback, earning three runs combined in the sixth and seventh innings, but couldn’t put anything else up on the board, ending the contest in Pitt’s favor, 8-3. 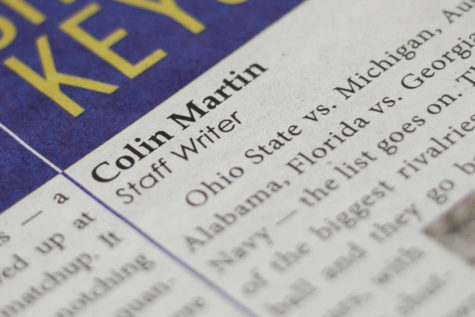 But the next day didn’t fare as well for the Panthers, as they lost both games in their doubleheader. 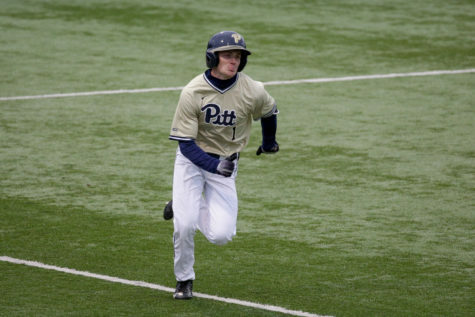 Pitt started off solid in the first game by gaining a 3-0 lead by the second inning, but Wake Forest answered with four runs in the fourth, gaining the advantage and keeping it through the duration of the game while all the Panthers could do was chip away at the deficit, ending the afternoon with a 20-8 loss. Using that momentum, Wake Forest led the second game of the day with a six-run second inning and keeping the Panthers low on the scoring front. 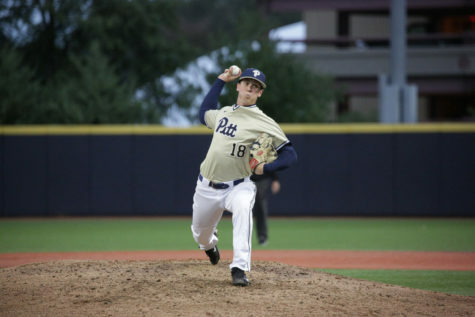 Pitt seemed to be coming back in the sixth, with a two-run double from sophomore Bryce O’Farrell, but it wasn’t enough as Pitt fell again, 7-6. The Panthers have the opportunity to avenge their recent home losses with another contest at Charles L. Cost Field against Youngstown State Tuesday at 3 p.m. In its final scheduled regular-season game in program history, Pitt women’s tennis dropped to 0-14 against conference opponents and 4-17 overall, having not won a contest since Feb. 16. The No. 22 Demon Deacons bested the Panthers at Wake Forest Tennis Complex Sunday, 4-1. Pitt only earned one win each in singles and doubles competition. Senior Clara Lucas and sophomore Camila Moreno snagged a doubles victory, besting Wake Forest’s Anna Ulyashchenko and Joanna Zalewski, 6-3. Singles competitor senior Natsumi Okamoto got the best of Anna Brylin in their first contest, 6-2, and earned the win after Brylin retired during the second game. The Panthers start their postseason Wednesday against Notre Dame in the ACC Championships in Cary, North Carolina, at 2:30 p.m.